A selection of art supplies I recommend that I think you will enjoy. I also have advice and tips for most of these art supplies. DISCLOSURE: If you decide to make a purchase from any of the links on this site, I may receive an affiliate commission, so thank you in advance. It's helpful to have a good quality electric pencil sharpener. I was glad when I finally 'went electric,' and I've never looked back! If you plan to work a lot in Prismacolor pencils along with Verithin or Col-Erase, then get a very inexpensive electric sharpener, because the waxy 'leads' will cause you to go through a few sharpeners, so I don't feel that it's necessary to purchase an expensive "top-of-the-line" model, because you will need to replace it if it gets a lot of hard use. A Boston Electric Pencil Sharpener will do the job nicely. The downside of electric pencil sharpeners is that they will eat up your pencils quickly, so try to only use it sparingly. Some artists use two sharpeners - one for regular pencils and another for the waxy colored pencils. I use both electric and hand held sharpeners - it's nice to have a non-electric one for when I'm not drawing at home and/or I don't want to have to sit right by my electric model. I recently bought a handheld pencil sharpener made by Prismacolor. I thought that maybe it would be something special because it had the Prismacolor name on it, but it was just a regular hand held barrel type pencil sharpener. It has tended to jam up with the shavings too quickly for my taste. I don't even use it anymore. My favorite hand-held pencil sharpener is this Helix Hand-Held Pencil Sharpener , because the blade is very good, it's very inexpensive, and I really appreciate how it catches the shavings. The top screws on, so you don't have to worry about pencil shavings falling out if you accidentally drop the sharpener. For good lighting, I really like my Ott-Light. It gives off a whiter light than most lamps will. The whiter light will help you avoid eyestrain, but an added benefit is that it allows you to see color more correctly. Ellipses are great for drawing eyes, but you are bound to find some other uses for these handy templates too. They can sometimes help in drawing jewelry, buttons, etc. If you don't have the room (or the money) to get an artist's or drafting table and chair, don't worry about it. I have a beautiful drafting table that I can't use right now, because my toddler will tip it over. So I have been using art boards. Now that I have been using them for awhile, I can really appreciate their portability and the fact that I can sit in a very comfy chair to draw. It also allows me to easily move to another room to work. A hefty drawing table will not allow you this freedom. 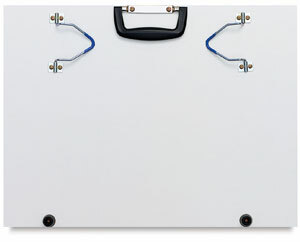 So consider this Scheewe Artist Board as another option. You will want this handy dusting brush to brush off the bits of eraser and pencil gently - it keeps your fingers off your artwork. Best not to blow the eraser bits and dust off your artwork - if often ends up damaging your work (because of accidentally spitting on your artwork - argh!) Your artwork is worth the few extra bucks to get this brush. Also, keep your fingers off the brush bristles, to keep the oil from your skin off them.